You are using Dr Tech Love (www.drtechlove.com.au) the “Site” to shop for Products provided by Third Parties. Dr Tech Love advertises the sale of these Products in Australia via the website where you can select, browse and order these Products as advertised. Dr Tech Love is a registered business ABN 63 129 439 738 a subsidiary of Nuestra Development Pty Ltd ACN 129 439 738. Please read our terms and conditions before transacting on our Site. Your use and orders are governed by these terms and conditions and you agree to these terms if you proceed to complete an order. If you do not agree with our terms then please do not place an order on this Site. If you are under the age of 18 years then you must obtain your parent or guardian’s consent before accessing and using our Site. The Products on this Site are provided by Third Parties and as such the purchase of those Products may be subject to varying additional terms and conditions. Dr Tech Love will ensure the Third Parties clearly provide information about any additional terms and conditions specific to the Product. It is important to read these additional terms and conditions before purchasing any Products. 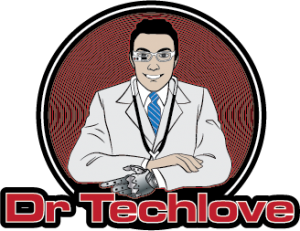 Dr Tech Love will not be liable for any loss of money, goodwill or reputation, or any special, indirect or consequential damages arising directly or indirectly from you using this Site to the full extent of the law. Risk and title transfer to you on the date the products are delivered to you. Misused the Product and have caused, or contributed to, the failure of the goods, for example, by damaging or misusing the goods. In order to resolve a Product fault we recommend that you contact the manufacturer directly. The manufacturer is best placed to help quickly resolve a problem. Click here to lodge a return. If the Product cannot be fixed and or replaced then we work with you to obtain a refund. We will refund the money back to the same method of payment you used to make your purchase for the same value of your original order. Prices are listed in Australian Dollars and will clearly list out GST and shipping costs. The prices of the Products will be subject to change. Products are sourced globally and the prices will change in accordance with changes in the Exchange Rate. This Site may contain typographical errors or other errors or inaccuracies and may not be complete or current. We therefore reserve the right (at our absolute discretion) to correct any errors, inaccuracies or omissions and to change or update information at any time without prior notice. We reserve the right to refuse to fill any orders that you may have placed on information on the Site that may contain errors or inaccuracies, including, without limitation, errors, inaccuracies or out of date information regarding pricing, shipping, payment terms or return policies. If we reject an order we will notify you why the order was rejected. We use your personal information for the express purposes of providing the Products as advertised on this Site. We may provide your personal information to Third Parties in other countries outside Australia for the express purpose of providing the Products as advertised on this Site. You agree to provide us with accurate details when asked to do so by the site. By browsing this Site you will be able to see the Products available and submit an order following the add to cart process. Products will clearly show the price, including GST and shipping costs at the time you place the order. All orders are subject to availability and confirmation of the order price. Once you have completed an order you will receive an email from the Site listing out your purchase in detail. For all accepted orders this constitutes a legally binding agreement. Dr Tech Love uses PayPal, Stripe and ZIP as its methods of payment for Products listed on this Site. These payment methods attract a 3% surcharge for ZIP and PayPal and 2% for Stripe to process your payment. This will be clearly listed on your payment receipt. Dr Tech Love, without liability, can cancel an order at any time if the Product you ordered is not available, there is an error in the processing of your order, including price or we reasonably believe there is a breach of the terms and conditions of this Site. You may cancel an order at any time prior to the dispatch of your Product. We will keep you informed of the delivery progress so you know at what point order cancellations will not be accepted. 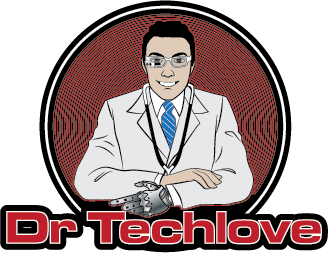 Dr Tech Love provides standard and express shipping options. We deliver to most places right across Australia. If you live in a remote area please Contact Us before placing an order to confirm if we can deliver. We will clearly provide the delivery fee before you need to pay for the order. If you are not present when the order is attempting to be delivered, or an appropriate person, (above the age of 18 years old) is at the Delivery Address a note will be left and the Product will be available for collection at a from our logistics provider. This Site contains registered trade marks and other trade marks of both Dr Tech Love and Third Parties which are protected by law. You must not use any of these marks unless you obtain prior written consent. By accessing this Site you acknowledge the copyright in the Site, the software, design, text and graphics comprised in the Site, the selection and layout of the Site and the content and materials on the Site are owned or licensed to us. You must not reproduce or copy without prior written consent. These terms and conditions are subject to change at any time, without notice. We recommend you read these terms carefully each time you use the Site. For prior purchases the terms and conditions at that time will apply. This agreement is governed by the laws of Queensland, Australia. Each party submits to the non-exclusive jurisdiction of the courts in Queensland. Delivery Address: the destination designated by you from the details we collect from you. Exchange Rate: The difference between the Australian Dollar and the currency rate for the origination of the Products respectively. GST: Goods and Services Tax at 10% of the listed Product price. Products: each good that is advertised on the Site. Shipping Confirmation: receipt of collection from our logistics provider stating the goods represented on the collection instruction match and are accounted for in full. Third Parties: The products provided for sale on this Site are provided by parties unrelated to Dr Tech Love and its parent company.